Plot: In early 18th century England, a frail Queen Anne (Colman) occupies the throne and her close friend Lady Sarah (Weisz) governs the country in her stead. When a new servant Abigail (Stone) arrives, her charm endears her to Sarah. Starring: Emma Stone, Olivia Colman, Rachel Weisz, Nicholas Hoult. 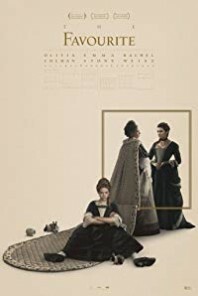 distributed by Fox Searchlight «The Favourite» in the US movie theaters released on November 23, 2018; dvd and blu-ray release date was set for March 5, 2019. Rent from Netflix and Redbox from March 5, 2019. «The Favourite» in the UK released in movie theaters on October 18, 2018. DVD and blu-ray release date scheduled for May 13, 2019.